So Coded will open it's doors again in two weeks to welcome the web's finest heads in Hamburg, Germany to talk shop, share ideas and enjoy a very good time together. 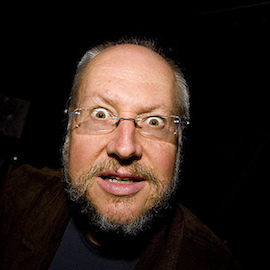 Douglas Crockford, author of "Java Script The Good Parts"
Peter Eszenyi, UX/Interface designer for Hollywood blockbusters like "The Avengers" or "Guardians of the Galaxy"
Brian Shirai, "The Rubinius guy"
and much more. Make sure to check out our Speakers page. At So Coded it is all about the hallway track. That is why all our talks are just 30 minutes long and followed by a 30 minute break to mingle ask all your questions face to face. We are a cosy conference so no there will be lots of opportunities to talk to all the attendees and speakers. Even better of course with fresh coffee, fine drinks and food as well as live music and hacking events. All of that set in a beautiful 150 year old church in the heart of Hamburg, Germany. After a big fire, the church building is run by a non-profit nowadays and presents a unique example of multicultural life in the city. All profits are going to the preservation of the iconic building as well as a local charity that supports the home less finding a new place to live. Find more details at our Location page. We are excited to open our gates soon and create two very special days for our community here in Hamburg.